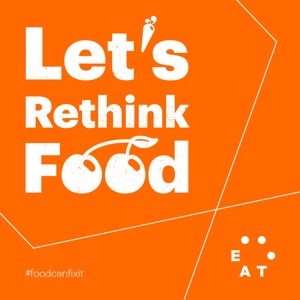 The Let's Rethink Food podcast takes a deep dive into the groundbreaking EAT-Lancet Commission on Food, Planet, Health. For each episode, our hosts Dr. Hazel Wallace, The Food Medic and Dr. Sandro Demaio, CEO of EAT, set out to unpick the science and translate it into everyday action. Tune in for the solutions to one of our most pressing issues globally: How are we going to feed a growing population healthy food without destroying the planet?